By 1pm, it was just over 90 degrees outside (in the shade). 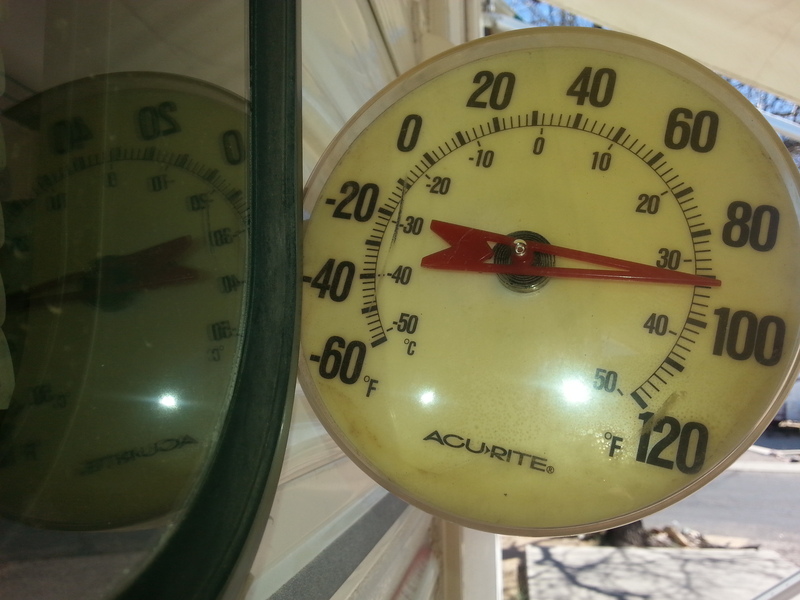 Do you have any idea how hot that makes it inside a trailer? Help!!! I’m melting…. 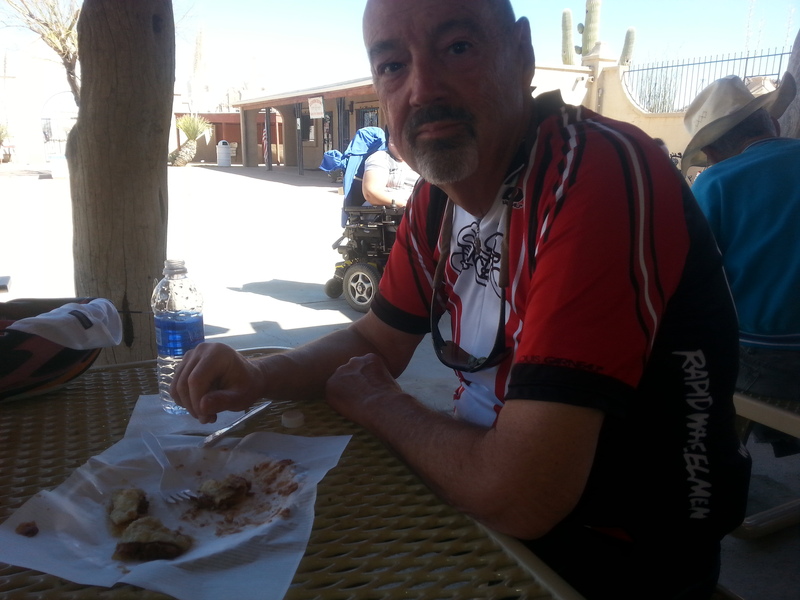 This entry was posted in Arizona, cycling, weather and tagged Arizona, cycling, historic sites, weather by Judy Crankshaw. Bookmark the permalink. The kids’ colorful clothes in front of the white mission makes it almost look like it was posed! Tomorrow we are FINALLY getting up to 70. I was wondering if it was ever going to happen this year! I do feel for you in your trailer in that heat! Being hot in the T@DA is one thing, but being hot in Fema is never fun. We’re so looking forward to being on the move. That first picture of the mission caught me off guard. At first very quick glance I thought it was Muslims at prayer in front of a Mosque. I wondered how you got to the Mideast. Then I actually looked at it. Such beauty and such HEAT. Please bring it back with you. I’m frozen. 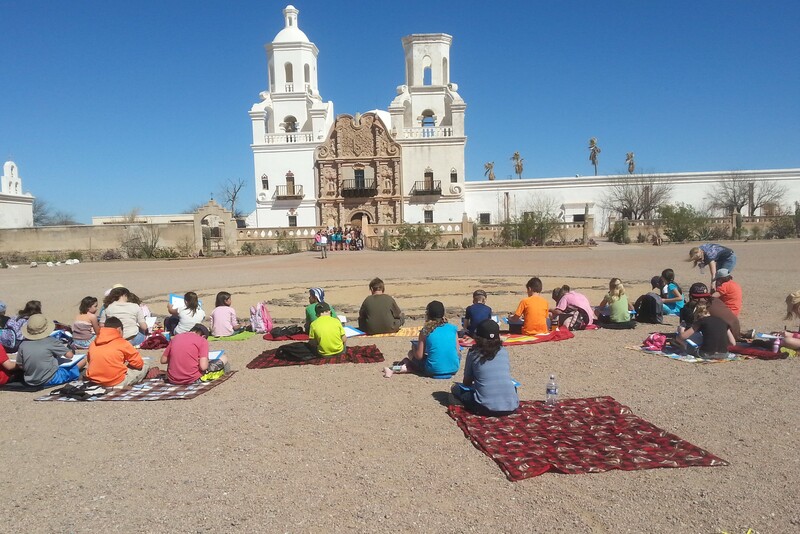 It was so hot out in the plaza near the Mission – guess all the native AZ are used to it. The kids were unfazed by the temps. We guzzle water & seek shade always. By the time we get home, you’ll have plenty of heat without us bringing any with….